NEW YORK -- A federal appeals court has rejected Tom Brady's attempt to get a new hearing on his "Deflategate" suspension. At stake for the Patriots was not only the availability of their quarterback for a quarter of the season, but their legacy as an NFL dynasty. Already convicted once of cheating by Goodell - in an illegal videotaping scheme in 2007 that predictably came to be known as "SpyGate" - the Patriots saw the suspension as an attack on their legitimacy of the four Super Bowl championships earned under Brady and coach Bill Belichick. The suspicions boiled over on Jan. 18, 2015, when the league tested - somewhat unscientifically, it would belatedly learn - the footballs provided by the home team for the AFC title game against the Indianapolis Colts and found them to be underinflated. Brady appealed - first within the league, and Goodell affirmed the decision. 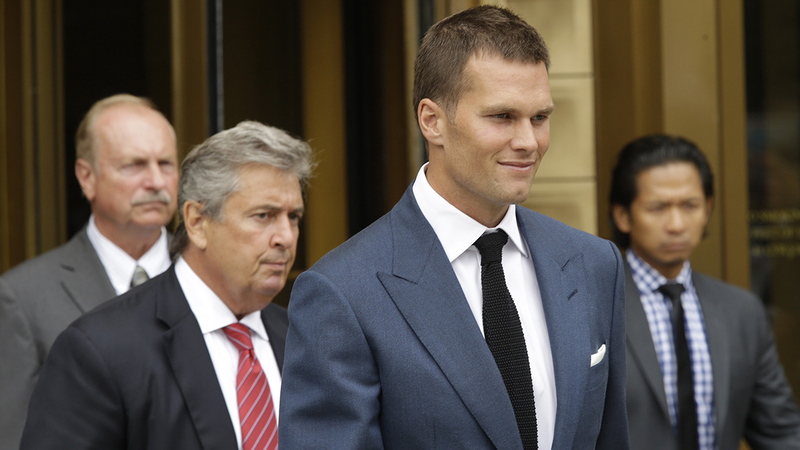 Brady appealed to federal court, and U.S. District Judge Richard Berman overturned the suspension. The league appealed to the 2nd Circuit, and the three-judge panel reinstated the original penalty. That left Brady hoping for a new hearing in front of the complete circuit - called "en banc" - or an even more unlikely hearing at the Supreme Court. New England fans rallied behind their quarterback, putting "Free Brady" on T-shirts, reciting the Ideal Gas Law from memory and giving a hero's welcome not only to the quarterback when he took the field for the 2015 regular season opener but also to Kessler and U.S. District Judge Richard Berman - whose ruling for Brady would later be overturned on appeal. But in other NFL cities, fans were just as convinced that the Patriots and Belichick were up to no good. Added to the videotaping penalty - along with Belichick's tendency to stretch the rules to their limits, or occasionally beyond - it was seen as confirmation that the team can't win without cheating.